Like most serious pursuers of the audio hobby, I've known about J E Sugden & Co. Ltd. for years. For many of those years, though, it was easy to forget about them, and I mostly diduntil, quite recently, Sugden gear began popping up at audio shows, including the 2016 Rocky Mountain Audio Fest. In his report on that show, Herb Reichert described the midrange of Sugden's A21SE Signature, a pure class-A integrated amplifier, driving DeVore Fidelity speakers, as "shroom-like" and contrasted the sound with what he called class-D's "fake cocaine." That got my attention. In the March 2018 issue, Art Dudley admired the sound quality of Ayre Acoustics' KX-5 Twenty preamplifier, but didn't love some of its operational aspects. I've staged this Follow-Up as a putative face-off between the Ayre and my current reference preamplifier, the PS Audio BHK Signature, which I reviewed in the June 2017 issue. Each equipment report in Stereophile focuses on a single audio component. When listening to a component for review, I leave unchanged all other components in my audio system. Other Stereophile reviewers experiment with different interconnects, speaker cables, power cords, or stands. As I found while reviewing Bryston's BP-173 (Cubed) preamplifier, being flexible has its rewards. My first lesson in flexibility was learning what Bryston means by "Cubed" (footnote 1). Jim Tanner, Bryston's VP of sales and marketing, explained that all their Cubed models employ an array of 12 active devices for the first 6dB of gain. Developed by the late Dr. Ioan Alexandru Salomie, this array acts as "a super-linear" input buffer to filter out audio- and radio-frequency noise, particularly anomalies that originate in the power line, reducing the overall noise and distortion to less than 0.001%. The hoary question of tubes vs transistors, once certain and clear, is made ambiguous by recent products from a few solid-state specialists, not the least being Ayre Acousticsthe company that endures in the wake of the passing of its founder, the widely admired Charley Hansen. In their solid-state preamplifiers and amplifiers of the past decade in particular, Ayre has enshrined a number of technologies that are more than just variations on the audio-engineering status quo, and that appear to pay real sonic dividends. I have not been attending audio shows as often as I used to, and this January, for the first time in more than 20 years, I'm skipping the annual Consumer Electronics Show. My personal return on investment has become hard to justify, especially when attendance at each annual CES requires a round trip from New York City to Las Vegas, Nevada. More important, audio shows now seem focused mostly on either two-channel music playback or multichannel home theater, whereas what interests me is listening to music in surround sound. So begins one of two bookletsone a collection of specifications and interior photos, the other a distinctly thorough user's manualincluded with the new L2.1 Reference line-level preamplifier from Brooklyn's Lamm Industries, earlier products from which have impressed me as among the best available. Indeed, coming from almost anyone else, the above quote would strike me as trivial boastingbut I know from experience that there's nothing trivial about designer and company head Vladimir Lamm. 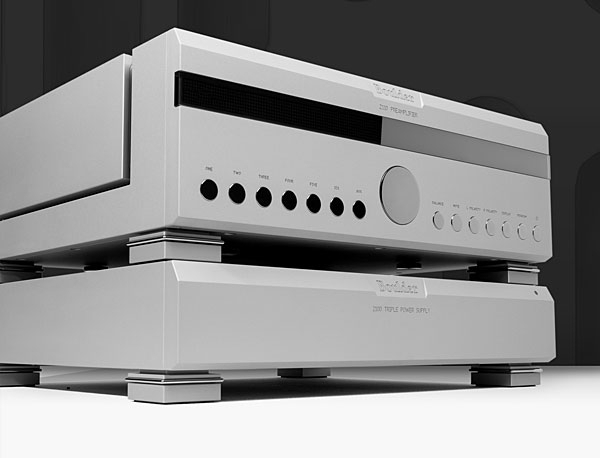 The Mark Levinson No.526 is the first preamplifier designed by a new 12-person team led by Todd Eichenbaum, director of engineering at the Harman Luxury Audio Group's Engineering Center of Excellence (ECOE), in Shelton, Connecticut. 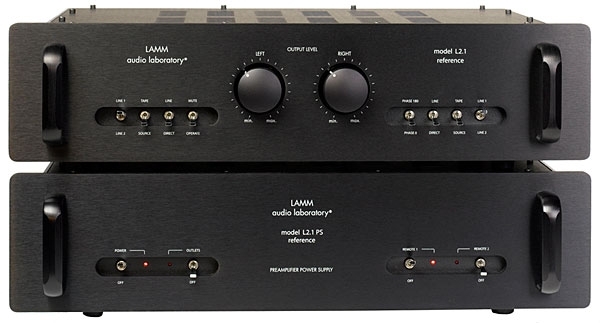 Designed to fit the price niche between the company's least and most expensive preampsthe No.326S ($10,000) and No.52 ($30,000)the No.526 costs $20,000. Transparency is a trait we all value in a hi-fi rig, and it's a concept I've long thought I understood. A system that tosses up the illusion of a clear, spacious soundstage, on which you can hearalmost seeall of the singers and/or instruments, from side to side and, especially, from front to way, way back: that's the ticket. Still, although such transparency is a sign that you've entered the realm of fine sound, it's not an absolute requirement. Tonal accuracy, dynamic range, a certain thereness that conveys the emotional heft or delicacy of musicthose things come first. Without them, the most precisely delineated soundstage is like an architect's sketch of an oil painting. Founded in 1984, Boulder Amplifiers is a conservative audio company that goes quietly about its business, choosing not to call attention to itself with marketing flash or acronym-laden features. 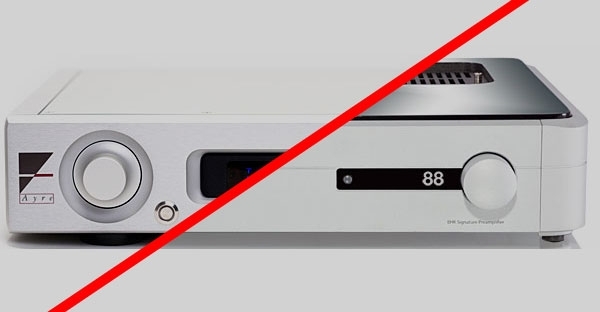 Change comes slowly to such companies, which is why the just-retired 2010 preamplifier enjoyed a 17-year run.